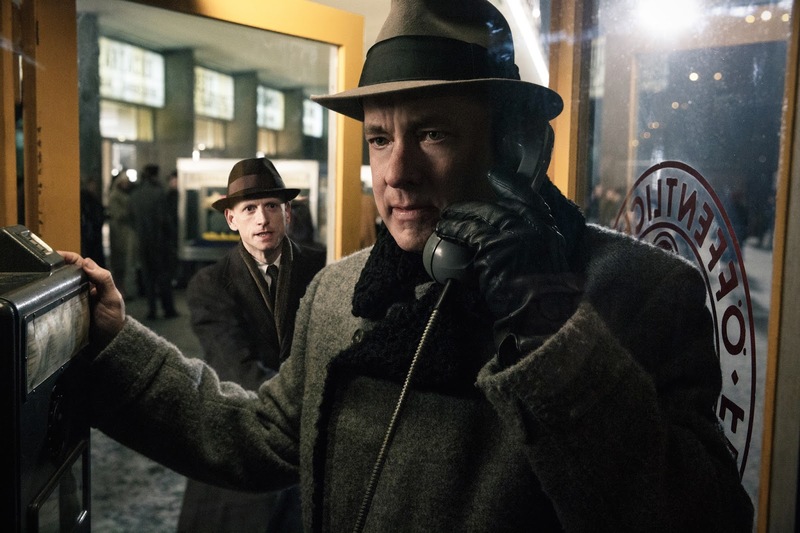 Director Steven Spielberg reunites with Tom Hanks for the cold war thriller Bridge of Spies. 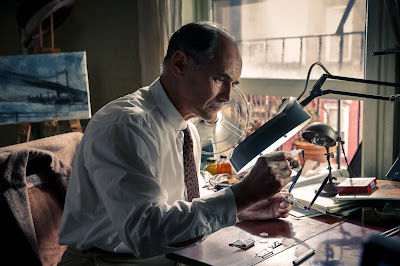 Based on fact, the film details the capture and arrest of Rudolf Abel (Mark Rylance), an otherwise unremarkable man who was passing on information to our enemies in the most nondescript way, as he painted landscapes in Brooklyn's Prospect Park. James Donovan (Tom Hanks) is a formerly prominent attorney asked to take Abel on as his client in order to give the impression that Abel is getting the best defense there is. When Donovan begins to take his assignment more seriously than anticipated, saving his client from a death sentence, the CIA enlists him to negotiate the release of a downed U2 pilot standing trial in the Soviet Union. The kind of double-play Donovan then chases is a gambit that surprises everyone. Bridge of Spies is a throwback in ways both good and bad. Much as he was in his most recent films, Lincoln and War Horse, Spielberg is in classical mode. 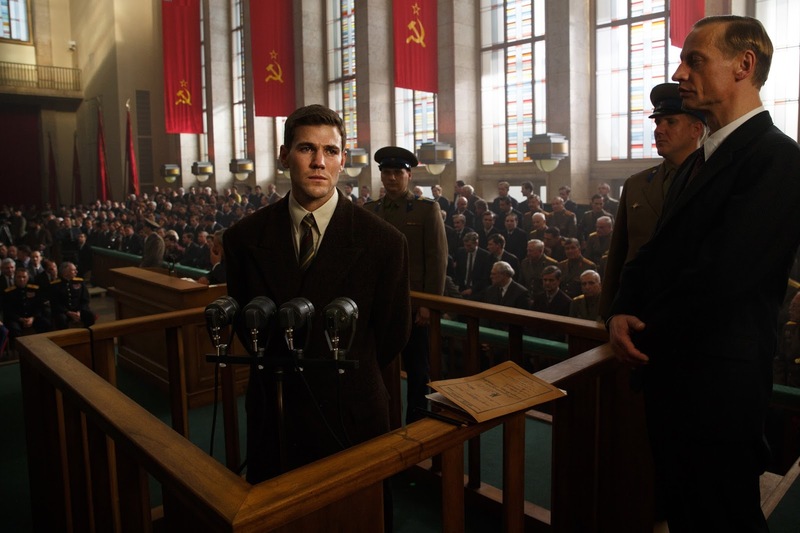 There is a starchy theatricality to the proceedings, fitting for Bridge of Spies' initial setting of the courtroom. The movie never really pushes past that, however. The same stiffness afflicts the staging of scenes that should feel more dynamic, whether it is in the Soviet kangaroo court where U2 pilot Francis Gary Powers (Austin Stowell) stands trial, or in the secret diplomatic meetings Donovan holds with his counterparts in the USSR or East Germany. Oh yeah, the Stasi wants Abel, too. There is an absurdity to this dry thriller that goes beyond the usual reversals one encounters in the traditional espionage film. Sure, Spielberg is playing up the fact that there is a histrionic quality to the events in Bridge of Spies, that every player must play his part. Perhaps that is why the Coen Brothers, Joel and Ethan, were brought in to give a final polish to Matt Charman's script, to give it a strong dose of levity, or at least bring the story's more farcical aspects to the fore. But that only contributes to the artifice. 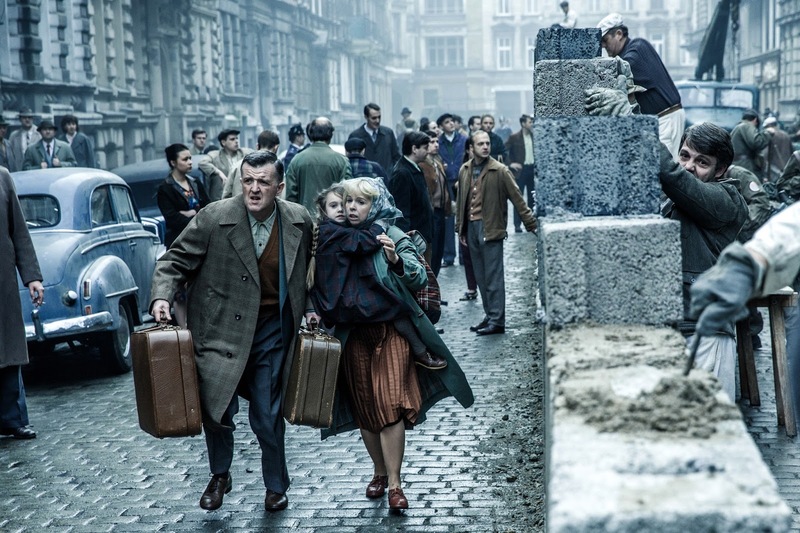 The really interesting story is happening outside of the drawing rooms where Donovan engages with his Russian and German adversaries, out on the streets of Germany where chaos has taken hold as the Berlin Wall is erected. Did I forget to mention that? 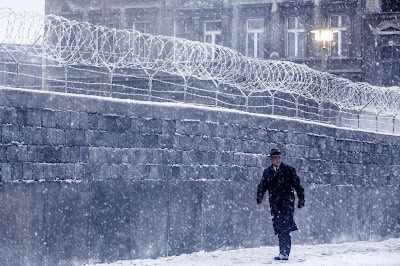 Bridge of Spies buries its lede even deeper than I ever could, stowing away the most attractive and intriguing element in its tale to concentrate on the verbal and logistical parrying of Donovan as he tries to swap Abel for Powers. Like the film reviewed on this site yesterday, Bridge of Spies' secret weapons are the performances of its two leads, Hanks and Rylance. Hanks is his usual stolid self, channeling Gregory Peck as he delineates Donovan as a sort of cold war Atticus Finch. He fends off the bullying of his peers and indeed the nation to stand up for the rights of his treasonous charge in order to prove that even spies possess human rights. The scene-stealer here is Rylance as Abel. Quiet and unassuming, Rylance's performance is one of stillness, drawing attention to the thought processes illustrated so hauntingly in the actor's eyes. A running gag in Bridge of Spies involves Donovan frequent marveling at Abel's imperturbability. Donovan will ask Abel something like, "Doesn't that make you angry?" and Rylance does more with his three-word response, "Would it help?" than any over-emoting could ever achieve. It's unfortunate then that these two actors, at the top of their form, cannot save Bridge of Spies from feeling like a bit of a slog. Spielberg had all the right pieces on the board, they just needed to be arranged differently. Trite as it may sound, Bridge of Spies might have come closer to succeeding as an analogy to chess rather than theater.